One of our most popular styles. 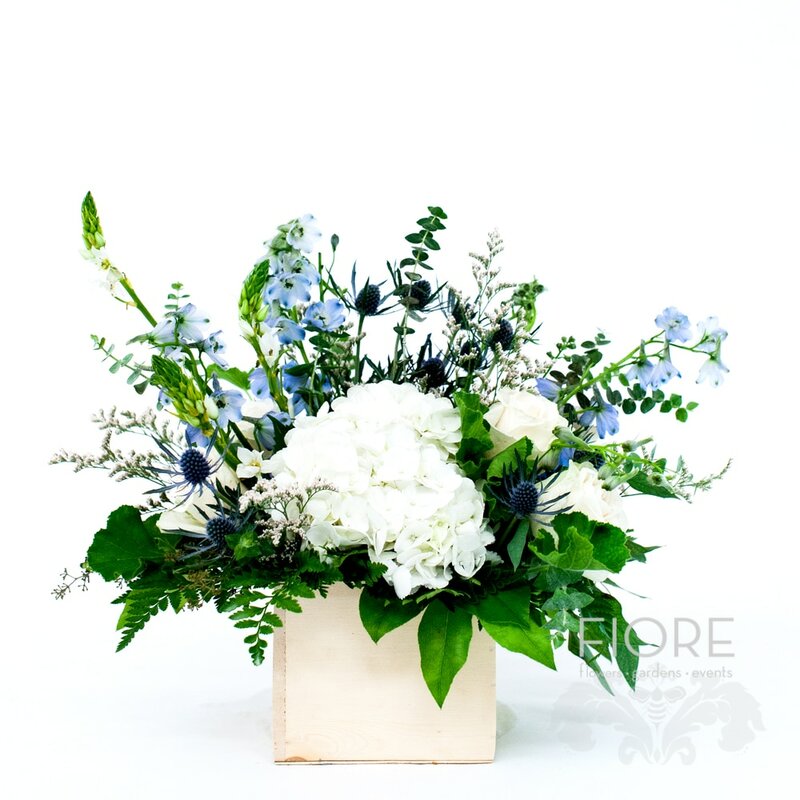 A European styled arrangement made in a wooden square container with a "pop of color." 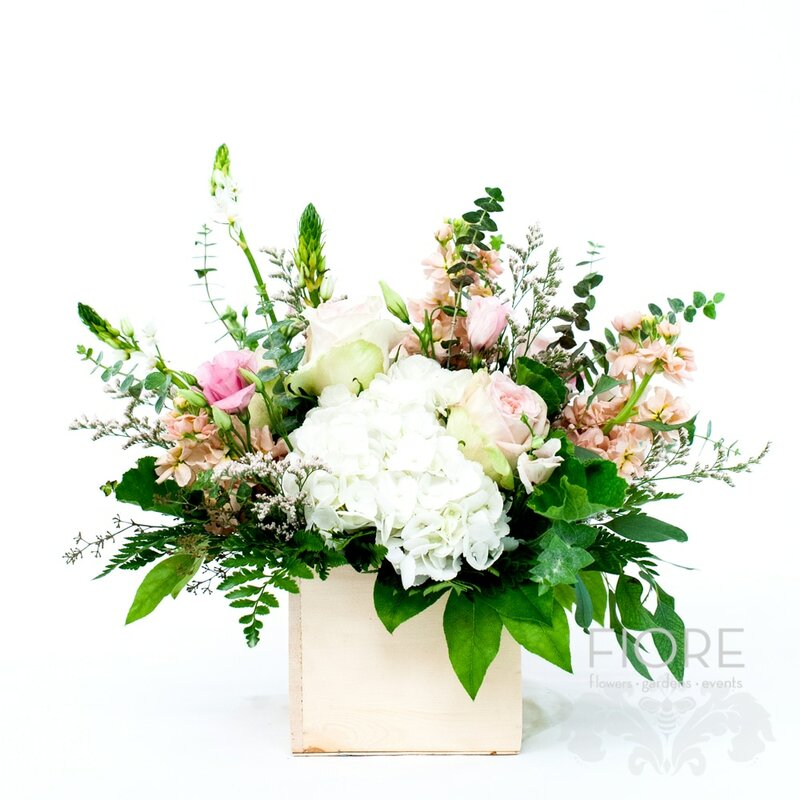 This is the perfect pick for celebrating births, mix with pink flowers for a baby girl arrangement or blue flowers for a baby boy arrangement.